With the tail end of January finally finished, and February just beginning, what better way to enjoy the coming months than treat yourself to a better sleep? With this in mind, here at Savoir we’ve collated our best advice to truly make the most of your bedtime. If you find that you are horribly hot and bothered at bedtime, the sheets you choose could be the culprit. Synthetic fabrics are more likely to trap heat, meaning that you may feel too warm to doze off, leaving you frustrated and unlikely to sleep well. Selecting a higher quality cotton sheet is more likely to let you maintain your perfect temperature and enjoy a better sleep experience. We recommend a high thread-count Egyptian cotton, which is not only luxuriously soft, but will keep you cool throughout the night. Recent research has found that 77% of 35-49-year-olds watch TV right before bed, and almost two-thirds of 18-34-year-olds use their smart phones before sleep. According to Business Insider, the artificial light from electronic screens impacts circadian rhythms and sleep-wake cycles, and ultimately impacts negatively on your sleep. Shunning electronic devices in the bedroom is one way to chill out and ensure you are sleep-ready when it comes to lights off time. If you feel restless and aren’t able to relax, why not try reading a book, which will relax your mind ready for sleep. According to the Better Sleep Council, you should ‘Get on Top of a New Mattress and Get to the Bottom of Your Sleep Problems.’ The BSC recommend that you reassess your mattress every 7 years and consider buying a new one. We spend over a third of our lives in bed, so doing this in comfort is certainly recommended. 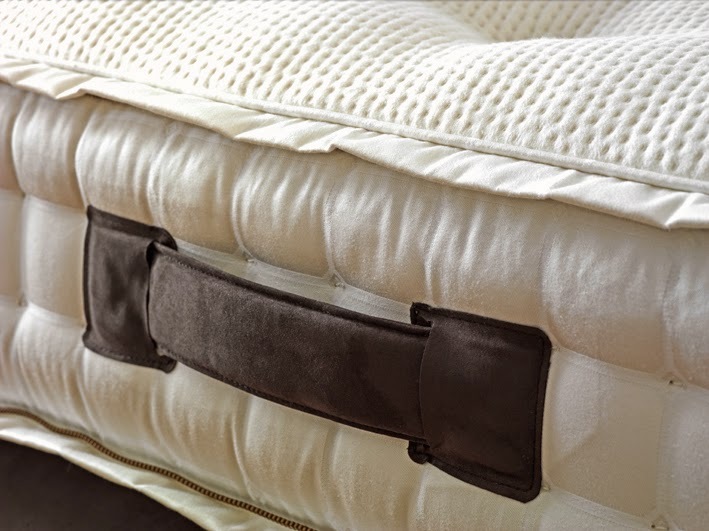 If you are not ready to invest in a new mattress however, here at Savoir we recommend that a mattress is flipped, or rotated, monthly, so that what was your sleeping surface is now the bottom of your mattress – often giving your bed a new lease of life. In the UK the clocks go forward 1 hour at 1am on Sunday 29th of March, so why not use February to trial the above tips and get into a more positive sleep pattern. To write a scoring Strategy assignment, it is essential for the scholars to have thorough knowledge of all the disciplines of strategy. To get more than the passing grades on the subject of corporate strategy students need to impress their professors with their work that must deal with all the intricacies of the subject by using the simplest idioms without being over the top. Students Assignment Help provides the best assignment writing services to the students at the low cost. Here you can get quality services provided by professional and high qualified mentors who are proficient t in writing any kind of assignment. Area includes several aspects like concurrency control, query optimization, relational databases, triggers etc. We offer database management assignment help in UK for the following fields or areas. with technically accurate answers for questions like “can you Do my essay?”. So, in case you need to consult experts for essay challenges, simply feel free to ask us “Do my essay in UK.”. MyAssignmenthelp.com has only experts to cater to ‘do my assignment UK’ request. We term them ‘experts’ because they are multitalented and are the perfect people to handle the assignment requests.